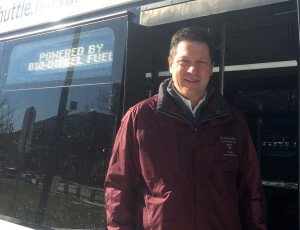 Challenged by misinformation and too often underrated, the biodiesel industry perseveres, and is gearing up for what could be its best year yet coast-to-coast. 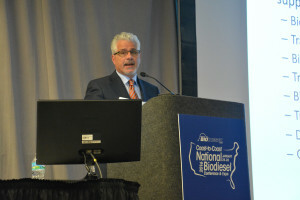 That was the underlying theme of the National Biodiesel Conference & Expo, held in Tampa, Fla, Jan. 25-28. As the biodiesel conference began, the EPA released the numbers showing that U.S. consumers used a record of nearly 2.1 billion gallons of biodiesel in 2015. Industry leaders said that the numbers demonstrate biodiesel’s continued success as America’s first and only EPA-designated Advanced Biofuel to reach commercial-scale production nationwide. In 2015, the Renewable Fuel Standard, the federal law governing renewable fuel blending, went back on track with volumes defined for biodiesel through 2017. The industry also secured an extension of the biodiesel tax incentive. These two programs together provide biodiesel producers, investors and suppliers a strong roadmap for the marketplace. The biodiesel conference attracted a wide range of stakeholders, including petroleum professionals from virtually all points in the distribution chain. 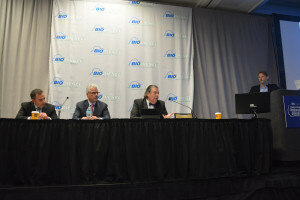 A breakout session, “Navigating & Understanding America’s Petroleum Supply,” examined the ongoing evolution on how biodiesel meets its counterpart, diesel, in the fuel stream. “If we don’t get our product effectively into the petroleum supply chain, we don’t succeed,” said World Energy’s Gene Gebolys, who moderated. Nazzaro said optimization of crude oil, optimization of supply chain, and fleets optimizing their equipment and their fuel are all critical elements to a successful fuel product. Patrick McDuff of Hull Energy Partners echoed the call for better housekeeping throughout the chain. 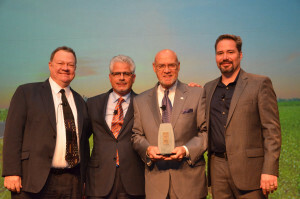 Bioheat® also received some attention at the conference, most notably with the Pioneer Award presented to John Maniscalco, who recently retired as the head of the New York Oil Heating Association (watch video). Maniscalco was instrumental in New York City implementing legislation for B2 heating oil city-wide. New York City continues to be a Bioheat leader in the Northeast on both policy and public perception when it comes to cleaning up heating oil. 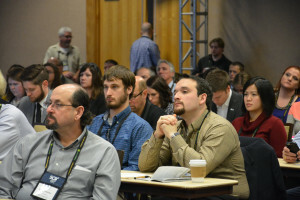 For complete coverage, including photos and audio interviews, visit the conference blog. Late last year, Congress reinstated the biodiesel blender’s tax credit for 2015 and 2016. This victory was critical for restoring profitability to the industry and for stimulating growth moving forward. However, the short-term reinstatement came despite growing concern over foreign fuels qualifying for the tax incentive, costing US taxpayers hundreds of millions of dollars. In just the past few years, biodiesel imports to the US – drawn by the tax credit and other incentives such as the Renewable Fuel Standard – have jumped from less than 100 million gallons in 2012 to some 670 million gallons in 2015. The vast majority of that fuel qualifies for the tax incentive under the existing blender’s credit structure. This dynamic is drawing increased scrutiny, and it is the primary reason the National Biodiesel Board has pushed aggressively for reforming the tax incentive to a domestic producer’s credit, similar to other incentives such as the cellulosic ethanol tax incentive. Most of the biodiesel imports coming to the US receive subsidies in their countries of origin, while those countries bar US biodiesel from entering their markets. This creates an uneven playing field in which US producers struggle to compete. At the same time, the domestic industry has an abundance of idled capacity that can be put into production immediately. This creates price volatility and general instability. Imports are likely to continue growing under the current structure, creating a dangerous political dynamic. We have yet to hear any member of Congress voice support for spending US tax dollars to subsidize foreign fuel production. The more lawmakers understand the growing volume of imports and their cost under the current blender’s structure, the more they enthusiastically support changing to a producer’s structure. NBB believes the current structure is unsustainable, and that the tax incentive is at risk of losing political support should imports continue drawing huge sums of US tax dollars. The good news is that the producer’s tax credit is a simple, common-sense fix, and it is winning more and more support on Capitol Hill. Last year, NBB supported legislation championed by Sens. Charles Grassley and Maria Cantwell and Reps. Kristi Noem and Bill Pascrell that would change the tax incentive to a producer’s credit. After some technical improvements, the legislation ensures that biodiesel receives the same excise tax treatment it does today – whether it’s used in an on-road application or an off-road use such as Bioheat. Additionally, under the producer’s structure, the $1 per gallon credit would continue to be shared throughout the distribution chain by fuel producers, blenders, distributors and, ultimately, users – just as it is today. NBB will be working aggressively this year to educate lawmakers and biodiesel stakeholders about the benefits of a producer’s credit, and ultimately to win passage of this reform in Congress. We urge all who benefit from the tax incentive to do so as well so that we can continue to build broad bipartisan support for the incentive in the future. The National Biodiesel Board has launched a new consumer website aimed at raising public awareness around the benefits and availability of Bioheat® fuel. The site, mybioheat.com, replaces NBB’s previous Bioheat website, bioheatonline.com, which had a split focus on educating consumers and providing tools for oilheat dealers. Along with touting the environmental, economic, and health advantages of Bioheat fuel, the site features a Bioheat dealer locater where visitors can enter their zip code to find dealers in their area. The locater includes roughly 380 dealers across the Northeast and beyond. The launch of the revamped site coincides with the beginning of NBB’s 2016 Bioheat consumer advertising campaign, which includes targeted radio and television spots across several Northeast markets. The campaign will serve as a major driver of traffic to the site, Nazzaro said. The National Biodiesel Board is dedicated to supporting the commercial biodiesel industry. Its membership is comprised of biodiesel producers, state, national, and international feedstock and processor organizations; fuel marketers and distributers; and technology providers. Biodiesel—made from a variety of feedstocks including recycled cooking oil, soybean oil and animal fats—is the first EPA-designated Advanced Biofuel to reach commercial-scale production nationwide. Bioheat® fuel is traditional home heating oil blended with Biodiesel. *Oilheat dealers interested in becoming registered Bioheat® dealers should contact Alexandra Pesaturo at alexandra@yourfuelsolution.com. Advertising is a potent vehicle which includes imagination, creativity, concepts, ideas and innovation to promote new products and remind consumers about changes in the old one. Whether you’re selling your talents in a job interview, a small business just getting started among the behemoths, or Coca-Cola letting you know they’re still around after 100 years, everyone at one time or another advertises! Advertising helps to raise your target demographics’ awareness of issues with which they may be unfamiliar, as well as educate them on the related benefits of your product or service. This is always our goal as we establish a plan specific to Bioheat® Consumer Communications and Advertising. As this year’s campaign kicks off, we are confident it will trump last year’s. After exhaustive deliberation, a final decision to execute a balanced advertising campaign resulted in investments made with broadcast television through CBS Channel 4 in Boston, and iHeart Media in Connecticut, Rhode Island and New York City. State Oilheat leaders have cost-shared in extending the National Biodiesel Board’s aggregate media buy, including Chris Herb of Connecticut Energy Marketers Association, Rocco Lacertosa of New York Heating Oil Association, Michael Ferrante of Massachusetts Energy Marketers Association and Roberta Fagan of Oilheat Institute of Rhode Island. According to a recent study by Ball State University on the media consumption habits of average Americans, despite the internet’s steady rise in popularity, television remains the dominant medium in most U.S. households. According to Nielsen, who is a definitive source for comprehensive radio metrics and insights, radio reaches more than 228 million Americans in a single week. That’s 94 percent of everyone age 12 and older. Then there’s digital advertising. In 2014, the U.S. consumer products industry and consumer packaged goods industries spent $4.20 billion on digital media. Furthermore, this number is projected to increase to $7.04 billion by 2018. We believe that by using these three major advertising components, TV, we can successfully elevate Bioheat in the mind of consumers and dealers. CBS in Boston produced a :30 second commercial as well one :15 second radio spot on WBZ AM station. “CBS Boston did a tremendous job with placement of the Bioheat commercial, weaving us between Late Night with Stephen Colbert, CBS news, Jeopardy, and The Phantom Gourmet,” said Paul Nazzaro, NBB’s Bioheat program manager. CBS also developed a unique grassroots campaign called ‘Volunteers of America,’ in which Bioheat will team up to provide heating assistance to men, women and families in need this winter season. VOA anticipates that Bioheat funding will support more than 125 current and former VOA clients beginning in February 2016. In Massachusetts, VOA provides services to veterans, at-risk youth, adults in recovery, elderly in need of housing and those in need of mental health services. Simultaneously with the commercials airing, iHeart Media produced 3 radio spots for Bioheat using eight FM stations across the Rhode Island, Connecticut and New York City markets. This campaign is projected to reach 7 million unique listeners in Providence, Hartford and New York City – all epicenters for the largest amount of home heating oil consumption. Included in the campaign is the Bioheat Fuel “Cell Phones for Soldiers” campaign, which is a national nonprofit organization dedicated to providing cost-free communication services and emergency funding to active-duty military members and veterans. Bioheat will also partner, for second year in a row, with The Great Outdoors Pursuit in Providence from May-August 2016. Promotional items, brochures and announcements on the radio will be distributed throughout the events. 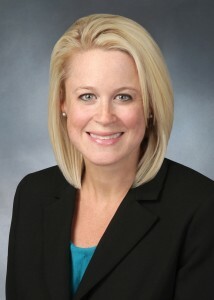 All radio and television spots can be found on the blog page of www.mybioheat.com. You’ve all seen the Wizard of Oz scene where the ominous voice says, “Pay no attention to that man behind the curtain.” All too often the public and consumers have been taken advantage of by activities that occur only behind the curtain. In the case of Bioheat, though, those activities behind the curtain have helped revolutionize the oilheat market with a cleaner burning, renewable, more sustainable fuel. Domestically produced biodiesel, when blended with heating oil, in addition to offering improved emissions benefits within the home, also helps to provide energy security and domestic jobs. The National Biodiesel Board believes that the benefits of biodiesel should stand upon technical merits when discussing the advantages of Bioheat. Some consumers may be aware that a technical committee at ASTM (representing fuel producers for both petroleum and renewable fuels, fuel distributors, equipment manufacturers, and interested stakeholders) approved relatively new specifications for biodiesel blends up to 20 percent in heating oil in March of 2015. Others involved “behind the curtain” included the National Oilheat Research Alliance (NORA), along with the burner and fuel pump manufacturers, who were all involved with the research leading to the approval process. The NBB is proud to partner with these companies and organizations as the oilheat industry works toward improving their emissions and sustainability objectives, which include the use of higher volumes of pure biodiesel (B100) by the year 2050 in order to meet their goals. While a considerable amount of research and investment went into the approval of the blend specifications up to B20, even more work will be needed to ensure that higher blends are as equally compatible and will provide even safer, cleaner fuels for consumers to use in their homes. With the data to support the claims, many fuel buyers are reporting fewer leaks and less maintenance when using Bioheat, and higher concentrations of biodiesel correlate to improved emissions. As the NBB works with these partners and others in the heating oil business to cooperatively provide a better fuel for heating oil, the industry can be assured that they know exactly who is behind the curtain. For additional details on Bioheat, or the ongoing studies, please feel free to reach out to the National Biodiesel Board by contacting the Technical Director, Scott Fenwick at sfenwick@biodiesel.org. 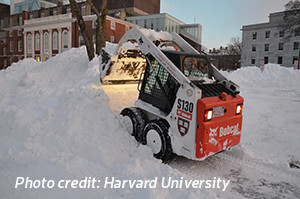 Harvard University’s fleet manager, David Harris, Jr.
Sure, it’s been milder this year, but who can forget the images of record snowfall last year in Boston and throughout New England? According to the National Weather Service, Boston’s Logan Airport received 108.6 inches of snow, making the 2014-2015 season the all-time snowiest for the city. 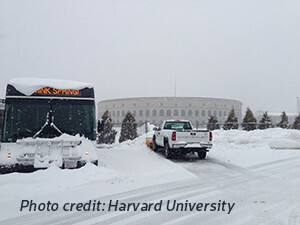 Through it all, Harvard University’s biodiesel-powered fleet didn’t miss a beat. Harvard uses approximately 2,000 gallons of B20 per week, for a total of more than 100,000 gallons a year. Their diesel fleet includes about 75 service vehicles – such as shuttle buses, solid waste and recycling trucks, mail delivery vehicles and more – and about 25 pieces of off-road maintenance equipment. Harris, who shares his biodiesel know-how as a volunteer Biodiesel Ambassador, adds that the precautions he takes with biodiesel in cold weather are good practice with regular diesel fuel as well. He emphasizes that ensuring good quality fuel is priority one. Like regular diesel fuel, biodiesel can gel in very cold temperatures. But a few simple steps can ensure that vehicles and equipment operate trouble-free during the harshest winter weather. • Use high-quality fuel that meets the ASTM spec purchased from a reputable supplier. • Be sure to discuss fuel options with your supplier to ensure that both the diesel fuel and biodiesel are blended only after meeting their respective specifications. • Develop a good fuel management plan, in partnership with your supplier, that includes additization (just like for regular diesel) to improve cold weather operability. • Test fuel periodically to verify its cold weather properties. • Make sure you understand your fuel’s cold flow characteristics and have appropriate fuel handling and storage plans in place. • Remain diligent on your tank maintenance program to help ensure fuel cleanliness. Do you have a story to share about your results with biodiesel in the cold? Washington Marriott at Metro Center, Washington, DC. ← Bioheat Television and Radio Campaign LIVE!